This post includes six health reasons why you might want to consider a gluten-free diet, even if you don’t have celiac disease. Turns out, there are many reasons why you might want to go gluten-free, even if you don’t have celiac disease. If you’re considering making changes to your diet, this might be one of the first things you want to try. There are several reasons why you might want to try going gluten-free, but let’s review the basics first. Gluten is the general term for a group of proteins found in grains such as wheat, barley, and rye. Gluten acts as the “glue” that holds the grain together and allows it to keep its shape. Gluten can be found in breads, pastas, doughs, baked goods, cereals, and more unsuspecting places like cross-contaminated oats, soy sauce, salad dressings, condiments, deli meats, cheeses, fried foods, candy, alcohol, medications, supplements, cosmetics, and more. Check out this list of thirty places gluten hides. If you’re trying to avoid gluten, then paying attention to food labels is a must. Why Has Gluten Become a Problem? The gluten-containing grains we consume today are not the same ones our grandparents or great-grandparents consumed. Our modern wheat is a hybrid plant that food scientists have modified to increase yield-per-acre. The result is a genetically unique plant that stands about two feet tall. Even just 50 years ago, wheat stood about four and half feet tall. It also contained more nutritional value and was sprayed with far less pesticides. These signs and symptoms may show up immediately following gluten consumption or they may take up to several days to appear. The only way to know for sure if gluten is causing these symptoms is to try eliminating it from your diet to see if symptoms improve. Some people who are allergic to it may not even know that they suffer from a wheat allergy. It can rapidly convert to glucose in the body causing a spike in insulin levels which in turn can cause a rise of inflammation at the cellular level. The gluten proteins can leak into your bloodstream through compromised junctions in your gut. It may also be the cause of the compromised junctions, which can cause other things like toxins to leak into your bloodstream as well. 4. Modern wheat has little to no nutritional value. Today’s wheat manufacturers take out all the nutrients from wheat in the refining process. They actually have to enrich wheat products with (sometimes) synthetic nutrients. But even then, wheat has never been a nutritional superfood. It’s estimated that up to 70% of the human population suffers from gluten sensitivity. Though some health professionals think that as much as 100% of the human population has some type of sensitivity to gluten. Gluten can reduce the production of digestive enzymes that are needed to help break down foods and aid in nutrient absorption. I never even considered going gluten-free until I developed chronic hives about seven years ago. Up until that point, my mainstream doctors never mentioned gluten sensitivities, even though I had autoimmune thyroid disease. Nowadays, the alternative health community is very aware of research and anecdotal evidence that shows the links between autoimmunity and gluten consumption (here’s a great interview with one of the leading researchers of this connection), but it wasn’t a connection that I was aware of until I started experiencing the hives. At that point, I came across the term “non-celiac gluten sensitivity” and I decided to try going gluten-free. My hives slowly started to go away and I’ve never gone back to eating gluten after that. You can read more about my health journey here or see all my gluten-free recipes here. You can also check out my podcast episode devoted specifically to identifying food sensitivities. What Gluten-Free Alternatives Are Recommended? White flour and wheat flour aren’t generally good for health. You do have to be careful about using gluten-free flours since some of them can contain other additives or preservatives that aren’t necessarily healthy. A quick internet search for “gluten-free recipes” will lead you to countless recipes using these gluten-free alternatives. All of the recipes on my blog are gluten-free, too! It’s really up to you to determine if adopting a gluten-free diet is right for you. Many people choose to try eliminating it for a while to see if it makes them feel better. The recommended elimination time is roughly around 3 weeks. Then, you can add it back in gradually if you want to test your reaction to gluten. But remember that gluten lurks in unsuspecting places and gluten-free alternative baked goods aren’t necessarily any better for you than their wheat counterparts. A lot of people who decide to try a gluten-free diet opt for a Paleo diet in which they are eliminating grains altogether based on the way their hunter-gatherer ancestors ate. A common Paleo protocol that many follow is the Whole30 diet. You’ll never know if you can feel better without consuming gluten if you don’t give it a try. You really have nothing to lose by giving up the wheat. I’d love to see a vegan gluten free bread recipe! I find that the gf baked goods usually call for eggs, and are difficult to make vegan. In my disease-feeding days, my favorite dessert was cheesecake. OK, no problem, I can have everything but the crust, filling, and any topping…sigh. I would dearly love to see a gluten-free, dairy-free, egg-free cheesecake that still had similar taste and mouth feel to what I used to love. Oh yeah, and not full of chemicals, processed food ingredients, etc. When I wish, I wish big. a cheesecake with a gluten free and nut free crust! Yes I also would like a gf bread or even cracker or snack bread recipe without gluten. Mine are OK but yours are probably better. I’m in between internet service providers right now but checking into free WIFI network daily so coping 🙂 Thanks for the giveaway! Thank you for posting this information. I have been gluten free for several years. Gluten free banana bread would be yummy! That’s really interesting Carrie. I have to admit that gluten-free food have never been a priority for me… I guess I thought that it was only for people with celiac disease. I learned quite a lot by reading your post, so thank you! After suffering for years with “IBS”?? for a number of years – I discovered in my 20’s I had a dairy allergy – and probably had so for a long time. I still continued to have digestive issues – plus started having narcolepsy – and found that these episodes worsened when eating bread. I now follow a strict dairy/gluten free diet – and feel much better. Always looking for gluten free bread recipes! I love sourdough bread and would love to see a gf version! I dream of a GF creamy bread pudding drizzled with a not too sweet icing! That’s one recipe I’d love to have made gluten free. Thanks for the good info. I’ve been following a gluten-free diet for several months now and realize just how much better I feel. Sometimes I “cheat” and am reminded of why I chose to do this in the first place! I forgot to mention what recipe I would like to see made gluten-free. I do miss having a crusty French bread with my soup. Sourdough Bread is a recipe I’d like to see made gluten-free. I’m pretty crazy about the idea of a gluten free, nut free breakfast protein-muffin. I’m blessed to be able to swing dairy, but finding breakfast that’s fast and food-allergy friendly is tough! I would love a gluten-free bread that is also vegan/egg-free. A gluten-free, low-glycemic bread that tastes good! A pie with homemade pie dough. Brownies, macaroon cookies. I made cookies for a work meeting this morning – non GF since they really weren’t for me. But of course I had to sample! Regretted it not long after, brain all cloudy and achy. Ugh. I wonder if there is a way to put the podcasts on youtube. I don’t have any access to an iphone. Hi Rosie! You can listen to my podcasts from your computer. There is a player embedded on each podcast show notes page. LMK if you have any trouble accessing it. Thanks! I would love to see an English muffin bread or cinnamon raisin bread made gf. This blog post was really helpful! Thanks for all the great information!! I would like to see a vegan chocolate chip cookie recipe made gluten free. I feel so much better since I’ve gone gluten-free. I’m always looking for more recipes, especially for quick gluten-free breads for my children. I went gluten free a little over a year ago for my thyroid and now I’ve completely eliminated my panic attacks! Crazy! Who knew ? A good crusty French bread that doesn’t take hours to make. I’d love to see GF treat recipes! I would love to see a gluten-free vegan cookie dough! I’ve been wanting gluten free pizza lately. I love Bob and his gluten free products! What is your favorite type of flour options? There are so many, it is a little overwhelming. I just started cutting down on gluten. Whenever I eat it I get very bloated. After cutting back I am feeling a whole lot better and no bloating! I would love to use this to make some breakfast breads like chocolate chip banana! I’d like to see a crumpet recipe, gosh I miss those. Gluten free pie crust. Love the Red Mill! This is really great info Carrie. And perfect timing for me. I have been wondering all evening if I am gluten sensitive. I am still really uncomfortable from a meal I had at lunch that had a lot of gluten in it! So armed with the information you just gave, I’m going to see if I can figure this out. Thank you! I have been gluten free for years with very limited grain consumption overall. I’m always on the search for a decent grain free tortilla recipe that isn’t just made of pure starch like tapioca. I would like to have a recipe for gluten-free French pastries, like chocolate croissants or eclairs. I would love to see a cheerio crust pie dessert. Great post! I’m thinking gluten free pastries could be an interesting thing to explore, since some pastries can be tricky to make! Right?! Me too, Catherine, LOL. A great gluten free bread. Have yet to find one I love. This is very informative blog! Bob’s Red Mill makes great products! I’d love a re I’ve for gluten-free, vegan Yorkshire pudding! The local gf bakery has one type of bread with a similarly amazing spongey texture, so it’s got to be possible! I would love to see bread pudding done gluten free! I would like a gluten free vegan lefse! Any pie recipe made gluten free. I’d love to see gluten free phyllo dough. A really good gluten free dinner roll recipe I have yet to find! cheesecake with a gluten free crust! 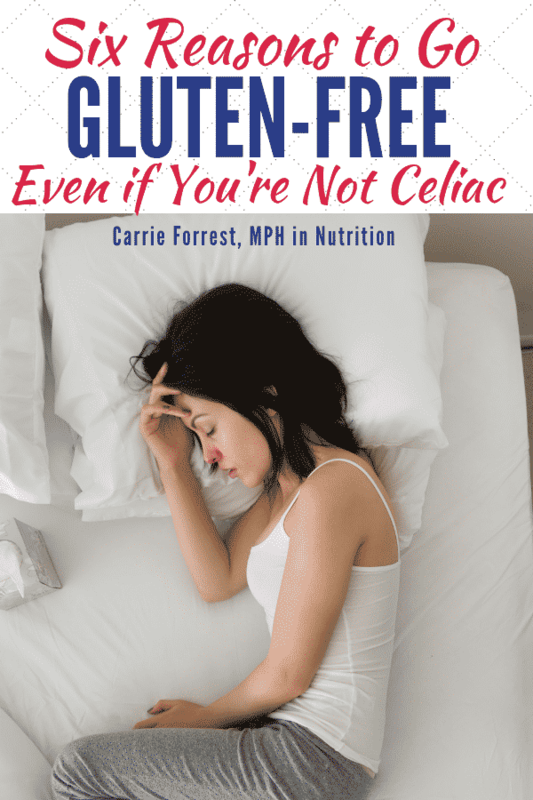 Lots of info here – I wish there was more information years ago when I went gluten free! My doctor and I thought I had celiac disease. I didn’t, it was something else, and I was relieved. I felt awful on a gluten free diet though, because I just substituted my regular wheat food items, with store bought products. I always feel so much better on a whole food diet, Love Bob’s Red Mill products – found them when I was gluten free. Love that you can incorporate them into a healthy diet. I went gluten-free for a while to see if I felt better overall and I definitely did. I had more energy, clearer skin, and less brain fog. I eat some gluten now, but very little! What a great resource for going gluten-free! That list of flour alternatives is especially useful. I love baking with almond flour and coconut flour, and Bob’s Red Mill is a brand that I buy often! I love to see gluten free muffins! I’d like a reliable GF cornbread recipe! I was a bread girl … so any bread — biscuits, rolls, loafs, pancakes, etc. –that have a great taste and texture and easily accessible ingredients. I had no idea that gluten could cause all those issues! Or that there were so many other alternatives out there to avoid it. I’ve been eating mostly gluten free these last few months and have noticed improved energy and better skin, so I think I will stick with it. I used to eat so much bread, and I actually don’t really miss it! I am not gluten free myself- although I do have a slight sensitivity to it in excess. I have friends who have coaliac disease and when they were diagnosed it really helped them know what products to eat and what they should put in their diet! I know a lot of people who intolerant with gluten especially kids nowdays. Thi is a very informative and useful article for a lot of people. I want to try gluten free sugar cookies. I need to see how they taste compared to regular ones. This sounds yummy!!! That list of flour alternatives is especially useful. Great post. Very informative post. I think that I can try it for 3 week to test it out. And if it makes me feel better I’m in. Great gluten free recipe. Thanks for sharing this. This is such an amazing post for anyone that is thinking about going gluten free. I am not gluten free myself, but know many people who are. 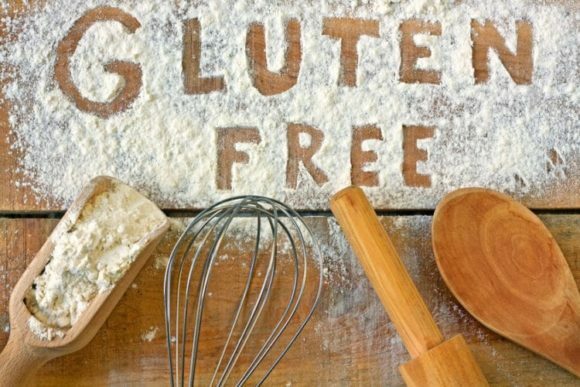 There are many options out there for people that are gluten free! gluten free petit fours would be amazing! My husband and I like eating gluten-free. He feels so much better that way. I think that says a lot. Interesting blog post. I don’t see myself going gluten free, but I do think cutting back on it might be doable. I think a balanced diet including every food group works for me. I respect that some people will feel better going the gluten-free route though. Pies….all pies. No such thing as a bad pie, you can only make good ones better. I have a few friends who are gluten free I know it’s been amazing decision in their lives. I try to do my best to use alternatives to gluten in a lot of my cookie like almond flour. And really do enjoy it. I’d love to try making my own breads. Trying to solidify my banana bread into gluten free; tweaking it to ensure flavor isn’t changed. I’d love a really good gluten free french toast. This is a very interesting article. I know that , in recent years, more of my friend have experienced mysterious health issues that plagued them for some time before their doctors finally figured out the problem was gluten. Eliminating gluten has changed their lives. My homemade banana crumb muffins! Great info for everyone who feels like they have very limited gluten-free options. Great selection of gluten free products! I’ll pass it along. I have a friend who has celiac disease, so he will surely be interested. Great research ! I’m not gluten free but when the time comes I know where to get my products thanks to your reviews ! I will definitely be sharing this with my gf friends. I love that Bob’s has so many GF options these days. I love their coconut flour! You certainly have done your homework. You’ve provided lots of valuable information for people who do have problems with gluten. Luckily we don’t but it still wouldn’t hurt to cut out some of it. Thank you for providing the alternatives. How about a GF sweet bread, that would be the bees knees! This is such a thorough, informative post. I love Bob’s Red Mill products and use them all the time! Very informative article. I have been gluten free for many years now. It started fourteen years ago when I discovered how it helped and still helps my son who has autism . He was a very picky eater who loved to ear rot is (Indian bread made of wheat) and drink milk. He barely ate anything else. He would not sleep entire nights and would cry in pain. After he was started in this gluten free casein free diet for the first time in years he slept entire nights and his aggression reduced and eye contact improved. He still is very affected by autism but it helps make life much more better. Whenever He had infractions in the form of gluten he would regress. I too started eating gluten free as I felt bad for him. That is when I discovered that I was losing weight and feeling better mentslky and physically. Great, thanks for sharing your story, Sathya! I am sooooo glad your son is doing better. Would you share the link to your YouTube channel? I would LOVE to see your recipes! XO. Yay, I subscribed! Oh my goodness, now I’m hungry!!! Looks amazing. I can’t wait to learn more. Thank you so much. Will look up the recipes you have posted too.